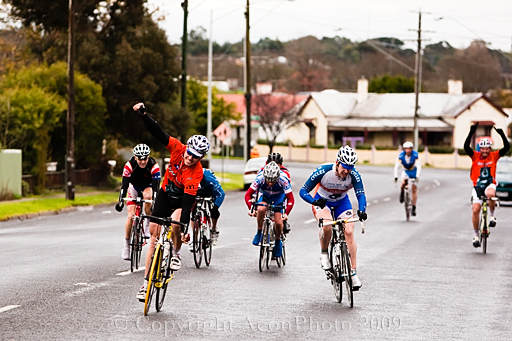 111 riders braved the wet and windy weather at Hamilton to contest the 60th Annual “Cecil Shore Memorial” 120 Handicap. Starting with the 16 minute group, local rider Gary Polack (Hamilton CC) took out line honours and the “Herb Hutchins Memorial Award”. 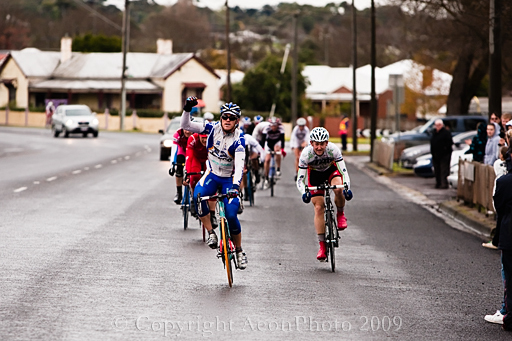 Scratch starter Sean Finning (Castlemaine CC) claimed fastest time with 2hrs 56min 56sec only 45 seconds behind the lead bunch. Images will be available in the gallery from Tuesday night.